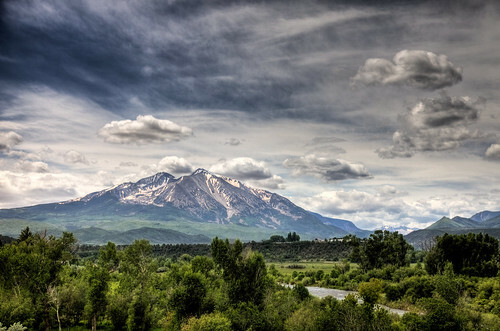 Mount Sopris is a high, twin-summited mountain peak located at the northwest end of the Elk Mountains in western ColoradoUnited States. 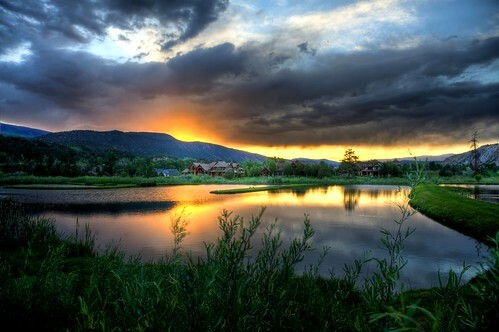 The mountain is located in western Pitkin County, south of Carbondale and southwest of the confluence of the Crystal and Roaring Fork rivers. 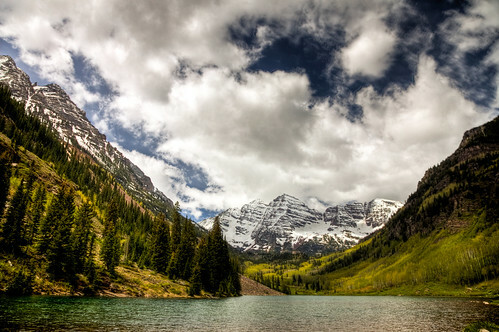 It lies in the Maroon Bells-Snowmass Wilderness, part of the White River National Forest. (Info per wikipedia) Grabbed this shot before heading to Aspen to fly home…the sky was pretty grey with some fluffy clouds, matching nicely with the river in the foreground and the vibrant foliage. On one of the windiest days I’ve ever seen without having official hurricane status, the sky cleared and the sunset was rewarding after nearly sweeping the wedding tent away. Lucky to spend my vacation with Steph (even though I made her fly on the prop plane) and visit some fantastic old friends. Congratulations to Jon and Lindsay, hopefully they’re kicking back down in Mexico on the beach with an umbrella drink in my honor. 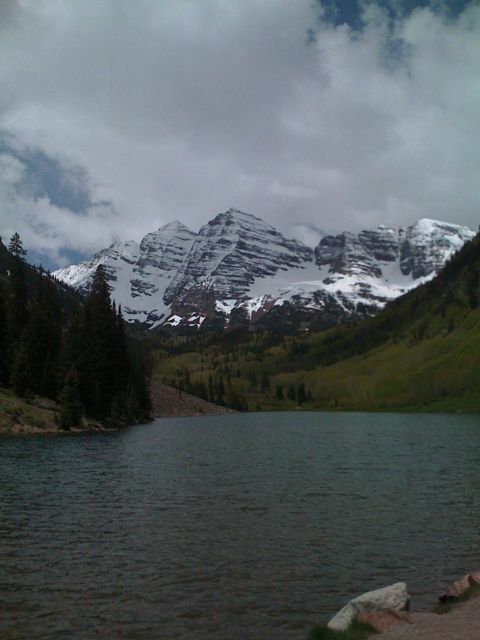 Maroon Lake is nestled between the Maroon Bells (North Maroon Peak and Maroon Peak), Pyramid Peak and Sievers Mountain. This gorgeous landscape is the most photographed mountain scene in the US (from what I’m told), and I can see why. Unfortunately the wind took away the opportunity for a nice glassy reflection in the lake…I’ll have to make another trip sometime closer to sunrise when all is still quiet. The flight home from Aspen to Denver was quite a treat…mountains were visible beneath the storms that we would fly through every 5 or so minutes. 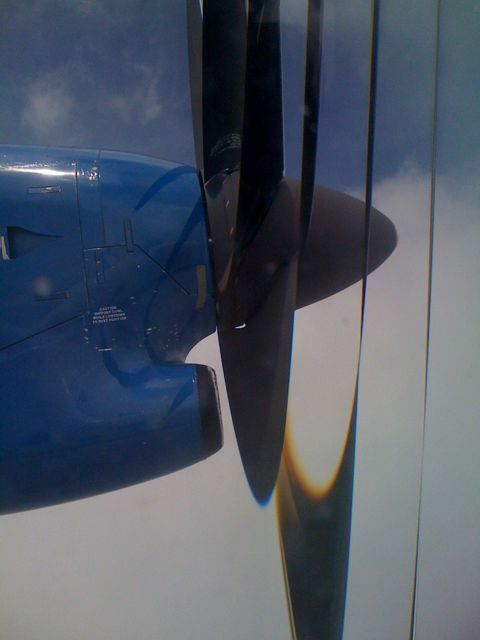 The prop plane added to the experience as you can see from the propellor’s rotation in this mediocre iPhone pic! The snow still graces the face of the Maroon-Bells, the most photographed mountains in the US. This pic was taken with my iPhone, dslr pics this weekend!